Memorial Day is almost here! First and foremost, it’s a day to remember those who have died fighting for the United States. But. It also traditionally marks the beginning of summer–BBQ season, watermelon, and popsicles. 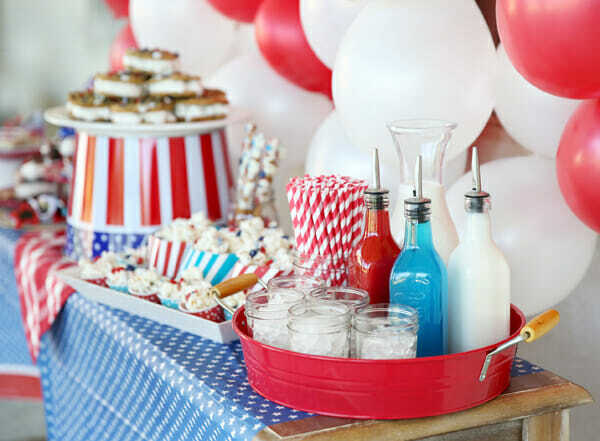 So if you haven’t already planned out your celebrations, here are some ideas to get you in the patriotic mood! 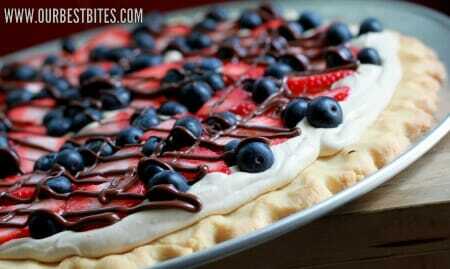 This fruit pizza has a brown sugar cream cheese topping and red and blue berries and is drizzled in chocolate. So it is both patriotic and delicious. And essential for staving off womanly hormonal fluxes. Jell-O can be a little creepy, but layered Jell-O is pretty awe-inspiring. 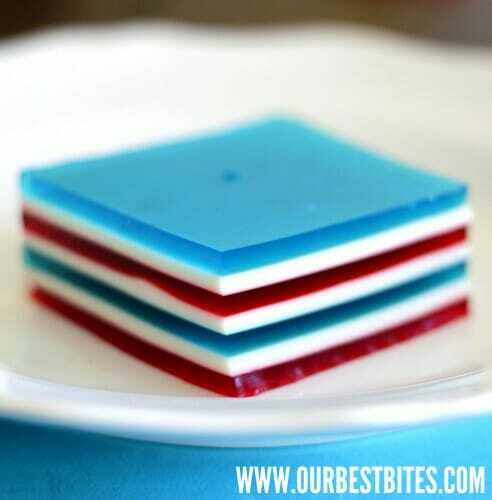 This red, white, and blue layered Jell-O is a huge hit with kids and adults who can’t leave it alone. 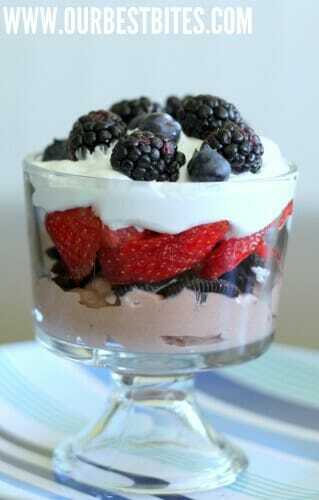 You can either make this patriotic trifle in a big trifle dish or in small individual dishes. Either way, it’s brownies, whipped cream, strawberries, and chocolate pudding, so, you know. There’s that. 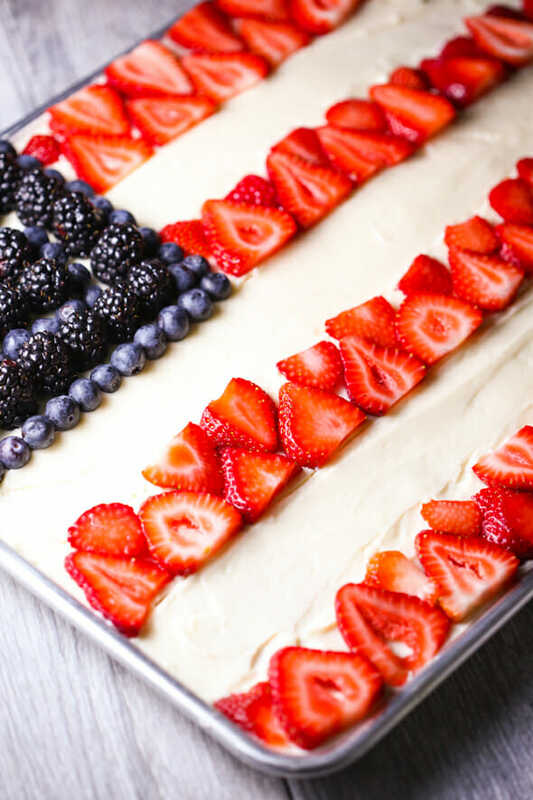 This Red, White, and Blue White Texas Sheet Cake was a huge hit last year! It’s beautiful and it tastes amazing, which is not always the case with cakes. 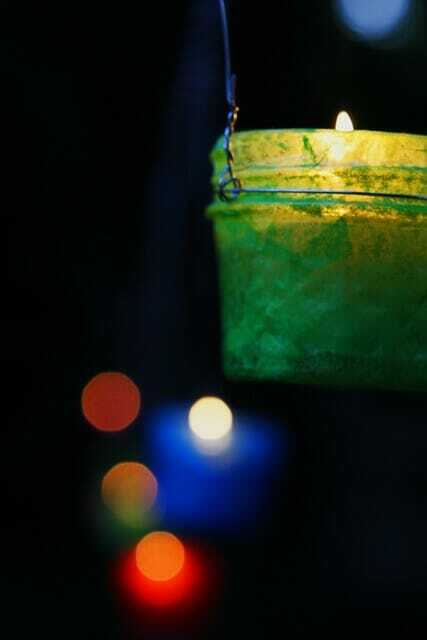 These easy, shabby-chic lanterns are fun to make with slightly older kids (or teenagers, or all by yourself because no one will help you because they’re having a water fight and you’re stuck inside making lanterns) and will make your patio glow magically. All you need for these cute little treat bowls are cheap paper plates and red and blue rubber bands (and scissors, and about 5 minutes). 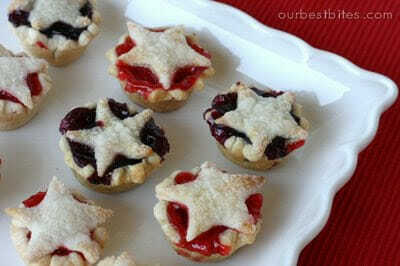 The great thing about bite-sized pies (besides the fact that they’re adorable) is that you can have, well, a few bites of every flavor. These bake up in a muffin tin and are perfect for little (and not-so-little) hands. 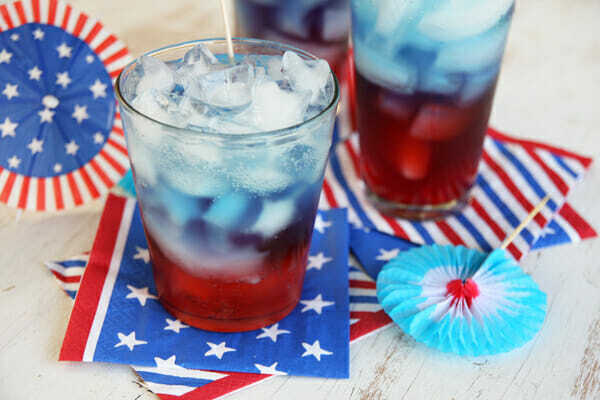 This layered punch is so easy and fun! Just pour it in layers and you’re good to go! 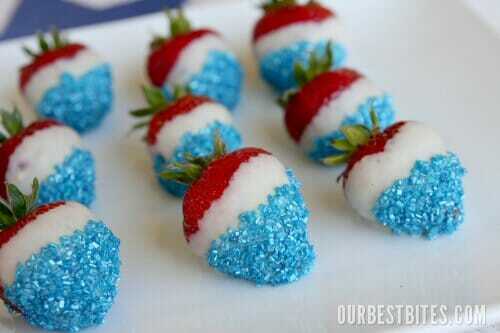 Sparkly dipped patriotic strawberries? Yes. Dreams do come true. I also wanted to show off some of my favorite 4th of July crafts and eats from bloggers that I love! Like these Brownie Fruit Kebabs from Mel’s Kitchen Cafe. Because when you put a strawberry and brownies together, the strawberry absorbs all the brownie calories. True story. Not really, don’t sue me. 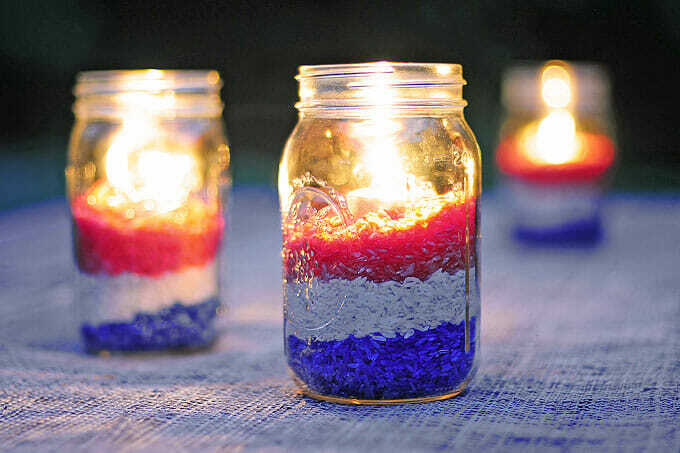 I’m such a sucker for lights in Mason jars, so I about died when I saw these easy red, white, and blue lanterns from She Wears Many Hats. I mustache if you need some facial hair this July 4th. Fox Hollow Cottage is here to help–these are perfect for photo ops and fake mustache lovers everywhere. 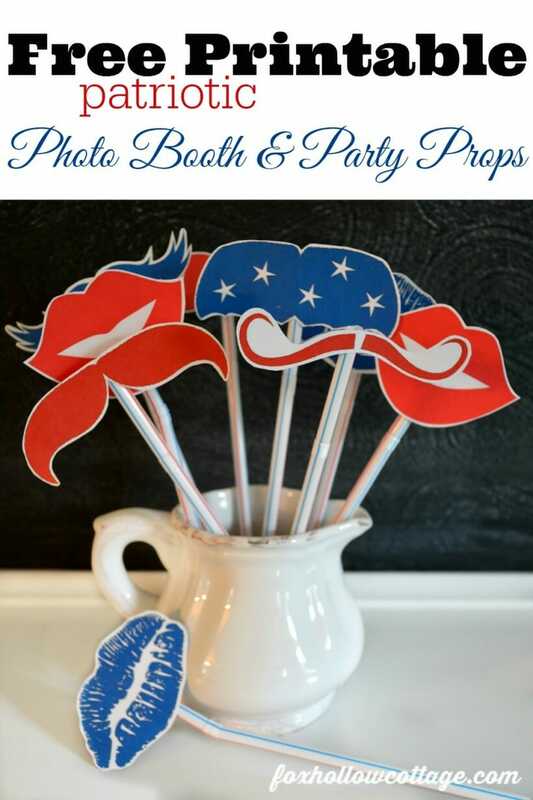 Finally, these patriotic printables that can be found on The Crafting Chicks are so darling–every single one of them! There are some seriously talented peeps out there. Happy (almost) Independence Day! Stay safe and have lots of fun!! CUte ideas. Great round-up. Happy Independence Day! Fun ideas! Congrats on your 1000th recipe….keep ’em coming! I make the fruit pizza every 4th of July. 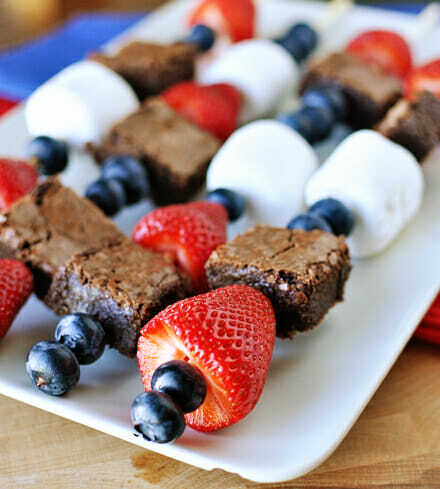 I may have to try out the brownie kabobs, I love chocolate and fruit. Thanks for all the fun ideas. I love all these ideas! I think the link to the brownie kabobs is broken. When I clicked on it it said “page not found”. I’m not sure what’s going on! Her entire site seems to be down. Bummer–hopefully it will be up and running again soon! 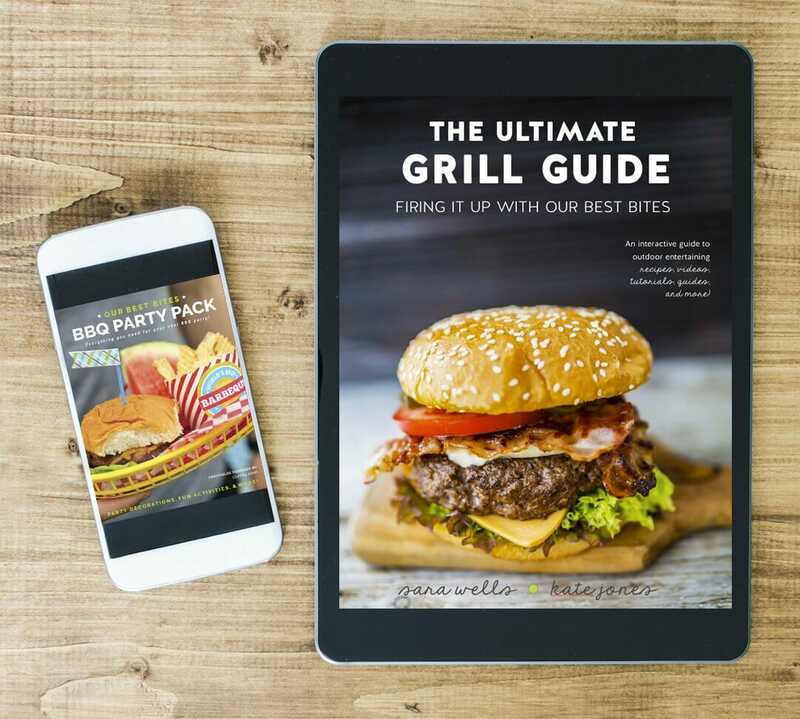 Such great recipes and fun ideas. Thanks! I love the 4th of July! Last year, I did the Jell-O, strawberries, and some festive Rice Krispies treats. This year, I’m going to try the kebabs and mints. Too cute. 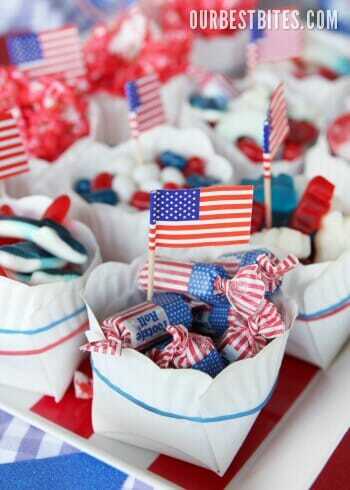 Love the ideas and love the 4th of July! I cry every year when we sing the Star Spangled Banner in church. Every. Dang. Time. I made the striped Jell-O last year, and everyone raved about it. I couldn’t believe that I actually made something so pretty! I used a star cookie cutter as well as squares. Thank y’all for the great ideas!